← May our faces be full of light and our hearts pure! News has reached Maulana, that Osama bin Laden, pursued by so many countries, has been killed. Every matter has a limit, and Osama’s deeds have reached an end. Allah permit this to happen, so that this world is cleansed of its oppressors, one by one, to herald the arrival of that blessed Saviour, Imam Mahdi (as). Osama was representing evil, he was engaging in evil acts against humanity. He did terrible things, the consequences of which, he was totally unaware of. Allah has promised us victory, even if it comes after a while. Now, after ten years, Allah has removed the head of evil, Allah has destroyed the head of fitna, Osama was number one on that list. The death of this oppressor brought comfort and rest to the hearts of many people. The rallying cry across the Arab world that is resonating so clearly now, is not a personal attack on their leaders – no, it is directed at the type (or species) of creatures these leaders represent tyrants and dictators” – they are the modern-day Pharoahs and Nimrods. This call is spreading from East to West, it is call for an end to the ‘Age of Tyrants’, which was foretold by Rasulullah’s (saw), that after the ‘Age of Sultans’, will come the ‘Age of Tyrants’. It is Allah who moved the hearts of the people to rebel against these tyrants, it is He who guides them to speak out against these injustices. The hearts of Mankind has been moved such that they no longer tolerate oppression, their message is, “We are fed-up with this Age of Tyrants!” In reality, they are not protesting about hunger in their communities or restrictions in their lives, the hearts of Man have become sick and tired of this ‘Age of Oppression and Tyrants’. That is why so many protestors are defiantly demonstrating in the streets, despite the real threat of death hanging over their heads. Islam does not permit harm on anyone. Those, like Osama, who cause harm, have no share in Islam, they have no faith. Anyone who opposes Divine orders, they are not from Islam. They have no right to be called believers, hence Allah has written their name under the list of tyrants. Maulana prayed, “Oh our Lord, do not leave us in the hands of our Egos, even for the blink of an eye.” Maulana said that he was not praising himself (as someone free from his Ego’s influence), but he made this do’a, so that we can all learn to recognize the reasons tyrants exist (they followed their Egos) and to recognize the times we are in (the Age of Tyrants), so that we can take precautions. The Ego never submits humbly, it is always proud. As such, we musn’t say, “We are Iranians, we are Pakistanis, we are Arabs.” Instead say, “We are Muslims, we have submitted to our Lord Almighty.” Honour for Man is attained by pushing aside the defiant Ego, and submitting to Allah. There is no honour in being related to any group or tribe. Honour is from religion, not race! We must all hold firmly onto the Divine rope of religion and not divide according to race, tribe or nationality. There is no such thing as a nation of Arabs, only the Nation of Prophet Muhammad (saw). Unity is only possible if we humble ourselves and deny our Egos, for Egos never like to accept others as equal, or superior, to themselves. For defiant tyrants, Allah need not send an army of Angels to defeat them, Allah need only send an army of microscopic viruses to carry out His Command, for viruses are the Army of undefeated Soldiers of Allah! In twenty-four hours, millions of tyrants can be removed with ease. Even if they mobilised tanks and aircraft carriers, they cannot bring down a virus. In Basra, Iraq, a viral outbreak claimed 70000 lives on the first day, it killed 72000 citizens on the second day, 75000 died on the third day and by the fourth day, no one remained in the town. So tyrants must realize that their tanks, fighter jets or nuclear missiles, will be of little use against His Army. Every matter has a limit. Oppression too has a limit, it cannot go on indefinitely, as it brings much suffering and anguish. Rasulullah (saw) spoke of how the eras would change, from that of the rightly guided Caliphs, to the Kings, to the Sultans, then to the Tyrants, after which a member of his household, Imamul Asr, Sohibul Zaman (as) will emerge to bring peace across the world. We are now witnessing the end to that era of Tyrants, that will herald the coming of Imam Mahdi (as). Look at the importance of being aware of the consequences of our actions. 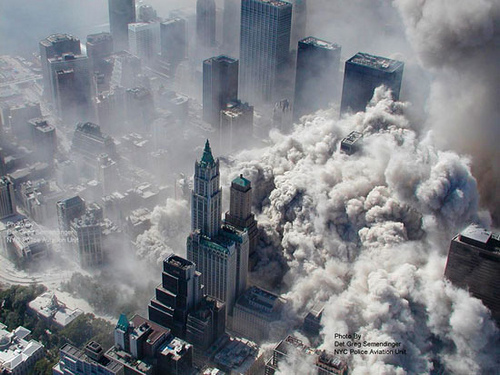 Osama tried to take revenge on the West, for its persecution of Muslims in many places around the world. But his actions resulted in more persecution, more killing, more wars and more innocent Muslims suffering and dying! His intention was to help, but acting without a Divine guide, he followed his emotions and anger, and his mindless retaliation led more believers into difficulties. Copy-cat admirers followed his example, and the disease of suicide-bombing and senseless killing followed thereafter. Today, just to board a plane, we are groped, profiled and molested, we have to take off our caps, shoes and belts; our bags must be searched and screened, our liquids disposed off, and every item vaguely resembling a weapon, confiscated. His actions have planted in the minds of so many people, that Islam is cruelty, revenge, retaliation, hatred, murder, pain and terror. How ironic, when Islam is in all reality, a message of Peace, a taste of Love and a journey of Tranquility! One perverted individual was all it took to distort the image of Islam so horribly, until it was no longer recognizable, even to Muslims. One who obeys his Ego is a tyrant, and the downfall of every tyrant, is that he is overwhelmed by the evil desires of his Ego. Maulana says that we are all servants – either to our Egos or to our Lord. We have to choose! Those who choose slavery to their Egos, have lost their honour, and have lost their way in life, just like Osama. Maulana quoted verses from the Quran, reminding us to take precautions! Against what? Against our Egos! We must recognize that our Ego is the culprit, and we must start working towards the taming of our egos. GrandShaykh: Oh my Lord, how can I reach you? Allah replied: Oh Abu Yazid, I am but one step away from you; step on your Ego and come to me. GrandShaykh: Oh my Lord, what is the distance to reach to You? Allah said: Oh Abu Yazid, as far as your Ego extends, that is the distance to Me. 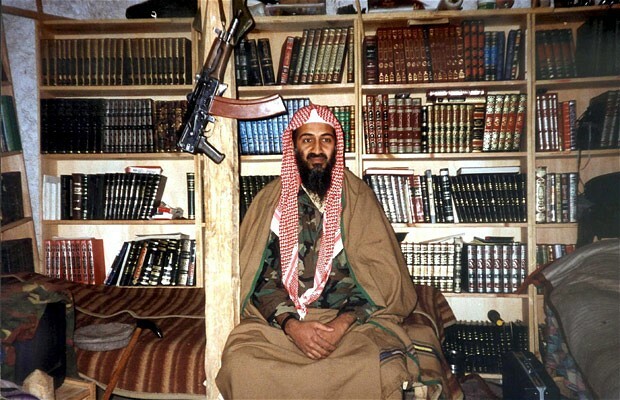 Look at Osama bin Laden. He studied academic Islam deeply from books, he dressed like a Muslim, he kept a beard, wore loose clothes, carried a rosary and spoke quoting from Quran and Hadees. Outwardly, he resembled a believer, So what went wrong? The tragic mistake that Osama made, was this; he never submitted himself to a true guide, to be trained to rein in his Ego. One who does not have a Shaykh, has shaitan as a guide (Hadees). The religion of the Soul is Servanthood to the Lord Almighty, its chant is La ila ha illallah, there is no God, but Allah. The religion of the Ego, is to make servants of others, its chant is La ila ha illa ana, there is no God but Me. When one does not learn to tame the Ego, it takes control of the heart, and all our knowledge and actions, become tainted with evil. Prophets came to teach Man to say, there is no God but Allah. The Ego teaches us to say, “I am the special One. I am the most important One. I am something truly a great One. I have my own opinion, my own say, my own feel, about everything. I am always right – the world, and even God, is not. I am perfect. The humans alongside me, and even God, is not. I am the Lord Most High!” That last line was uttered by Pharaoh. Maulana says that, there is a Pharaoh in each one of us. If we allow our Ego to develop into one, it will. The Ego holds itself to be separate and independent of its Lord. It holds itself as a separate ‘Lord’ to the true Lord. It is a partner onto the Lord. It is the one idol in our lives we must destroy, just as the Prophet (saw) symbolically destroyed the idols in the Holy Ka’aba. Those who set themselves up as partners to Allah will be broken and removed. The true purpose of Jihadul Akbar, the Big Jihad, is to subdue the rebellious Ego, for if that is not done, all our knowledge and actions, are done with the Ego and for the Ego, meaning they are performed towards an evil aim and they are done with insincerity. Iblees is the classic example of this; he was kicked out of the Divine Presence – not for lack of knowledge or worship, but for lack of respect for Allah’s command, for he was slave to his own Ego. For 40 000 years, iblees had worshipped Allah on earth as a leader of the Jinn. For another 40 000 years, iblees worshipped Allah in the skies, as a leader of the Angels. And for another 40 000 years, iblees worshipped Allah in the heavens, as one close to Him. There is not one hand’s span in creation, that iblees has not prostrated himself before Allah; if it had existed, Shah Naqshband (q) would have hidden his followers there, away from the poison of iblis. Iblees had worshipped as he pleased, for 120 000 years. But when it mattered, when Allah commanded him to perform just one act of worship, one prostration, he defied. The Ego likes to do as it pleases, it does not like to be commanded, for it is its own Lord. GrandShaykh said that even Sayyidina Adam (as) had this Ego within him. When Allah told him that Paradise was his for the taking, except for one tree, immediately his Ego was secretly unhappy with that restriction, his Ego was questioning the wisdom of it, it was desiring to taste from that tree. GrandShaykh said, if not for that hidden defiance within him, he would not have been tempted to taste it. But his Ego lead him to taste the forbidden fruit, and so, he too fell into defiance, showing the bad adab of obedience to one’s Ego and disobedience to Allah. Ego always leads us to evil. So from one whose heart is still controlled by Ego, will emerge a religion of evil and destruction. He may dress like a believer, look like a believer, talk like a believer and worship like a believer – but in reality, he is a servant to his Ego, never to his Lord. That is the tragedy of Osama bin Laden. His whole effort was focused upon what he (wrongly) believed to be the small jihad, but he neglected the major jihad against the Ego. Shaykh Adnan Kabbani said that in the time of the Prophet (saw), new converts to Islam would learn the basic Shariah (prayers, fasting, rites of Haj etc) in a very short time (sometimes in mere days), and they focused the rest of their lives, trying to tame their wild Egos and attain perfection of akhlaq, good conduct. In stark contrast, today’s Muslims study the basic Shariah for years and years, seeking diplomas, degrees and Masters in it, but pay little, or almost no attention, to the most crucial part of being a believer – the crushing of the cruel, tyrannical Ego, and the attainment of behaviour befitting that of a believer. The result? We are now in the era of tyrants, almost everyone alive today, is ruled by his Ego. Remember, the Prophet (saw) said, “I was sent, to perfect human conduct.” Islam, is a religion of peace – peace within our Souls (when the Ego is defeated) and peace within our families and Communities (when no tyrants are in power). Millions of unbelievers embraced Islam after being touched by its love, compassion and justice. No Christian or Jewish Community suffered at the hands of the Ottoman Muslim governments. Such is the high moral value upon which the Shariah of Islam is built upon – even its enemies respect and acknowledge its compassion and justice. The religion brought by bin Laden bears no resemblance to the picture painted above. Islam became synonymous with cruelty and random madness, a religion of hate, revenge and bloodshed. Its evil was directed at all, even to fellow Muslims. Look at all this with a heart of compassion and with a sound, unbiased mind, and one can see how he brought something so alien to Islam, so different from what the Prophet (saw) had brought. Bin Laden brought us hatred from his Ego, Rasulullah (saw) brought us love from his heart. The most important mission which is incumbent upon each one of us, is to wage war on our proud Egos, under the guiding hand of a true inheritor of the Prophet (saw), until we submit willingly to our Lord. Only then do we become true believers. As long as the Ego is the captain of the ship, it will always sail along the proud way of iblees, even if we dress, study and worship outwardly as Muslims. Take a lesson from bin Laden’s tragic end – the tragedy is not that he has died, but that he had lived as a slave to anger, revenge and hatred. He had followed his Ego, to the end of his days. That is why Maulana constantly prays this Prophetic do’a, “Oh our Lord, do not leave us in the hands of our Egos, even for the blink of an eye.” The Ego is such a vile and deadly opponent, so much so that even the closest one to Allah, His Habeeb (saw), the one who is protected from his Ego, prayed not to be left to his Ego, for even a moment. Would we take a dip in a pond of piranhas for even a second? Would we let our children play with a basket of king cobras for even a second? It is because we know how deadly piranhas and cobras are, that we take such precautions against them – a blink of an eye is all it takes for a fatal blow to be delivered. Our Prophet (saw) knows how deadly our Egos are, and he has taught us a Way to be rid of its evil. Think about this – why aren’t we heeding his call? When the Prophet (saw) asked not to be with his Ego, for even one moment of his life, why are we asking to be with our Egos, for every moment of our lives? This 44 minute Suhbah in Arabic, can be viewed at www.Saltanat.org, click here to watch it now. This entry was posted in Maulana Shaykh Nazim's Suhbahs and tagged Abu Yazid, bin Laden, burying infants, dictators, ego, Jihadul Akbar, Mahdi, Osama, Osama bin Laden, servanthood, Shaykh, Terrorism, Twin Towers, tyrants, Usama, virus. Bookmark the permalink.